Phil serves as the Lead Pastor at Faith Community Church. Phil and his wife, Melissa, have been married since 1980. They have two grown sons, Jonathan and Zachary. Phil enjoys being a part of the greater Edmonds community. He is involved in the Edmonds Chamber of Commerce. His hope is to lead Faith Community Church in a way that builds a life-giving community of people who are following Jesus. When he is not working at the church, Phil enjoys hiking, sports, wood working, and reading. Phil is a Washington native having been born and raised in Yakima. He is a graduate of Seattle Pacific University and Western Theological Seminary (Holland, MI). Prior to coming to Edmonds in 1994, he served churches in Canoga Park, CA and Artesia, CA. Andrew Edmonds – Andrew serves as the Children’s Pastor at Faith. He and his wife, Jennifer, are both native to California. They attended, met, graduated and were married at Point Loma Nazarene University in San Diego. Soon after their wedding, however, they moved overseas, first to Panama City, Panama, and then to Guinea, West Africa. They spent a total of nine years living and working internationally as school teachers and children’s pastors. It was also during this time that Nat and Abi were added to the family, born two years apart. In 2013, the Lord called the Edmonds to move to Edmonds, Washington to work for Breakthrough Partners, a missions organization that facilitates partnerships between churches and Christian organizations around the world. Andrew serves as the Children’s Ministry Director, training kids leaders in Africa and Latin America. Around the same time he started working at Faith, bringing with him his experience in kids ministry and international missions. As a family, the Edmonds love to watch movies together, hang out with friends, and enjoy the many seasonal activities of the great Northwest. John Faley – John and his wife, Tanya, oversee Worship Ministry at Faith. 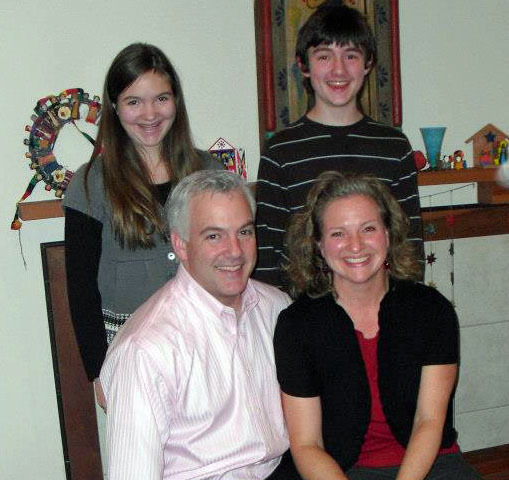 They live in Edmonds, along with their two musically talented children, Elliot and Emily. “My life was changed by finding God in worship. A very Real God, in a very real worship. Since then, I have been intentional about getting back into His presence, and leading congregational worship gives me many great opportunities to do that. When we are before the Lord, things begin to break down around us, our walls, our fears, our reluctance. We stop saying no, and start saying yes. We change our priorities, our schedules, and our spending habits. God transforms us through this process, and I invite you to be more intentional with us in praising our Maker, because it changes everything about us. Worship isn’t predicated on the right music – its not even about the music – it’s about us connecting with our Awesome Maker. Seek Him, and He will be found, and you won’t be the same.